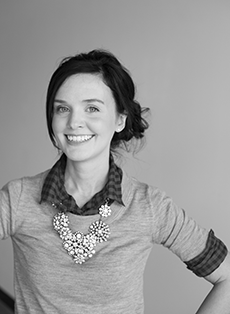 I'm so honored to welcome the lovely Loni Parker to the blog today. 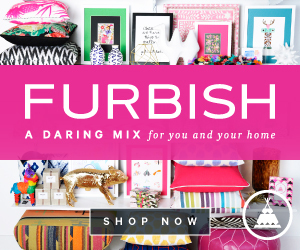 She's a talented graphic designer and the founder of Adore Home Magazine — Australia's first online-only home and lifestyle magazine. 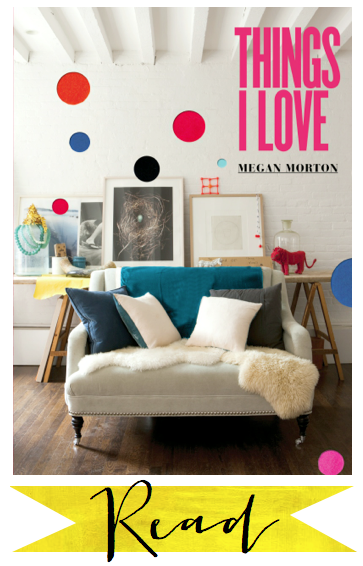 Read: I've popped this book on to my Christmas wish list; I've heard brilliant things about Megan Morton's new book 'Things I Love'. 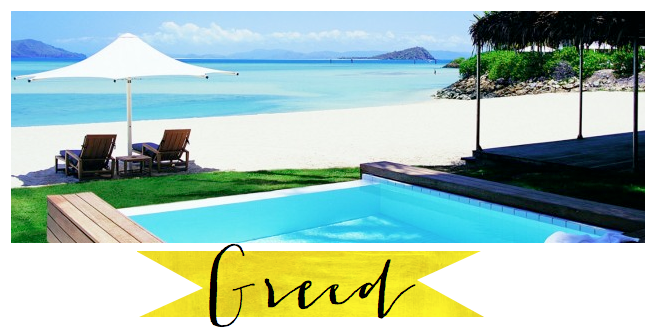 Greed: I'm off to Hayman, a luxury resort located on the Great Barrier Reef for a couple of nights and I'm so looking forward to sipping cocktails by the pool in the sun! The resort looks ultra decadent — I can't wait to visit. It's one of the only islands in the Whitsundays that I haven't yet visited. Soak up the sun and sip a cocktail for me. Cheers! *P.S. In case you were thrown off a bit, the first day of summer is December 1st in Australia. Oh so envious! Would love to go to Hayman :) You are a woman of style, Loni! 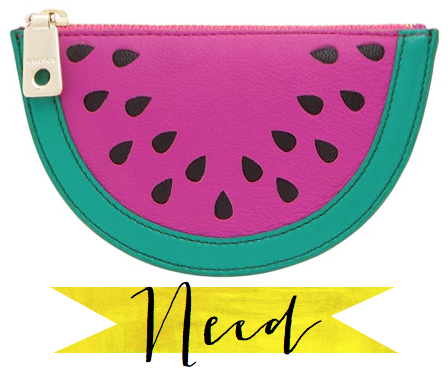 That watermelon purse is adorable!